The 14th edition of the Cornwall Film Festival is almost upon us! Here’s your complete guide to all of the 2015 events and how you can get tickets. This years festival will be kicked off by BFI’s Love season which we’re hosting at Regal Cinema, Redruth! Find out more by clicking the link below. Introducing the Cornwall Film Festival Weekend Pass! Extra value for those passionate about film! Not only do you get a free CFF15 T-shirt but Festival Weekend Pass holders will be granted exclusive access to the Cornwall Film Festival 2014 Evening Reception, a celebration of the 14th edition of the festival along with industry specialists, filmmakers and our 2015 judges. Available from all Merlin Cinemas! Gabe Polsky’s entertaining documentary chronicles the rise, fall and struggle for personal freedom within one of the most awesome sporting dynasties ever seen – the USSR national ice hockey team. The Cold War wasn’t just fought on borders and in diplomatic skirmishes. Sport provided a gladiatorial arena in which ideology was as important as athleticism. As the Cold War raged, the Soviet ice hockey team marched from cloistered obscurity behind the Iron Curtain to dominate the sport, putting Western powerhouse nations such as Canada and the United States to the sword. Home to some of the greatest players the sport has ever seen, the Soviet Union’s Red Army team became a key combatant in the Cold War’s propaganda battle. ‘They’re a microcosm of their society,’ US President Reagan insisted of the Soviet team and when they triumphed, as they usually did, so it seemed did communism. But when Mikhail Gorbachev’s perestroika reforms began to thaw out Moscow, the struggle to dissuade their best players from the lucrative lure of the National Hockey League in America became the team’s greatest ideological battle. Featuring incredible archive footage as well as gripping interviews with the stars of the team, this fabulous documentary elevates itself well above being just another sports film, into that of a human story that transcends decades, borders and ideologies. An impressively dense new British drama, Blood Cells is a strikingly dark drama given heart and soul thanks to Barry Ward’s (Jimmy’s Hall) suitably intense lead performance as a lost soul adrift from his family and his past trying, in his own way to find a way home. Nominated for the Michael Powell Award at this year’s Edinburgh Film Festival, set in 2001 when the foot-and-mouth disease has decimated the UK’s farming community. When Adam’s (Ward) brother contacts him with some family news, he is served with an ultimatum – come home now, or don’t come back at all. Suddenly Adam must decide if he is ready to end his nomadic lifestyle and return to the life he left behind. Winner of the Golden Bear at this year’s Berlin Film Festival. A taxi driver is driving through the vibrant streets of Tehran. Diverse passengers enter the taxi, each candidly expressing their views while being interviewed by the driver who is no one else but the director Jafar Panahi himself. His camera placed on the dashboard of his car, transforms the car into a mobile film studio, and captures the spirit and contradictions of Iranian society through this comedic and dramatic drive. Nicknamed Microbe because of his small size, Daniel Guéret cannot find his place, neither within his family, nor at school, despite the attentions of one of his classmates. Théo Leloir gets called Gasoil (diesel) because of his passion for machines and DIY. When he is put into Microbe’s class, the two hit it off, sending them both on an adventure across France in a motor home they put together themselves. This French comedy Directed by Michel Gondry (Eternal Sunshine of the Spotless Mind) stars newcomers Théophile Baquet and Ange Dargent, along with Audrey Tautou. Saoirse Ronan shines as a woman who journeys from post-war small-town Ireland to New York, in Nick Hornby’s adaptation of Colm Tóibín’s best-selling novel. 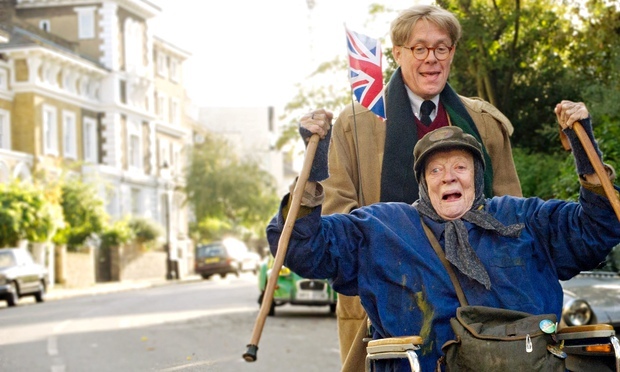 The transatlantic romance is a lavish tearjerker that attracted support from Jim Broadbent, Domhnall Gleeson and a scene-stealing Julie Walters. Set in the 1950s, when Irish economic migration was at its height, Ronan leaves rural Wexford for a menial job and a rackety boarding house in Brooklyn. Run by the sharp-tongued Mrs Kehoe (Walters), her new digs leads to a mutually supportive relationship with a local priest (an avuncular Jim Broadbent), chaste church socials, and eventually a romance with Tony, an Irish-American boy (Emory Cohen) but ultimately she has to choose between her new love and a beau back home (Gleeson), and between the life she left in Ireland and the one unfolding in the New World. Georgian director Zaza Urushadze’s Oscar®-nominated film is a gripping and perceptive antiwar tale set during the little-known Georgian-Abkhazian war. Taking the neutral viewpoint of one of the last remaining Estonians in the disputed Caucasus region (Ivo, played with a measured and sage force by Lembit Ulfsak) Tangerines observes the growing conflict from a (naturally) tangerine orchard on a remote mountain. A sudden shootout between Georgian soldiers and Chechen mercenaries puts Ivo in the strange and extremely tense position of nursing two wounded soldiers who are mortal enemies in his small house. During their extended period of convalescence, they are forced not only to confront the reasons that fuel their hatred for each other, but also the conflict which rages around them. Gorgeously filmed in a mountainous coastal region of Georgia, this is an astute and captivating history lesson – and, moreover, an eloquent statement for peace. Yorgos Lanthimos has given us what is perhaps the most definitive relationship film in years, a movie that explores the full spectrum of relationships with impeccable wit, delightfully dark humor and insights so sharp they verge on deadly. Like Lanthimos’ previous films (Dogtooth, Alps), The Lobster functions in an uncanny reality, one that is recognizable and yet totally wrong. Colin Farrell is our entry point to this world, in which single people are sent to a beautiful hotel and given 45 days to start a romantic relationship with another guest or else they are transformed. Twelve-year-old Stella wants to be just like her older sister, a talented figure skater with a bright future ahead of her. Their relationship is filled with the usual playing and fighting of all sibling bonds, but it’s also troubled by a secret. When Stella discovers that Katja’s slender frame is the result of anorexia and bulimia, she’s worried, but blackmailed into keeping it to herself. An insightful story inspired by director Sanna Lenken’s own experience, and enacted by a terrific young cast, My Skinny Sister offers an honest take on sibling love, as well as a sensitive look at a rarely touched upon topic. Winner of the Crystal Bear for best youth film at Berlinale and the audience choice award at the 2015 Göteborg International Film Festival. Terrific performances from the ensemble cast bring warmth and insight to this Cannes Grand Prix winner about an alt-lifestyle family eking out a breadline existence as beekeepers in the Tuscan wilds. When a television crew filming the surreally tacky “Countryside Wonders” competition rolls up, 12-year-old Gelsomina (Maria Alexandra Lungu, brilliant) is transfixed by the spectacle of Monica Bellucci’s rural goddess and resolves to get her own family on the show. But Sam Louwyck’s gruff patriarch, Wolfgang, is opposed to any such selling out, despite the family’s urgent need for money. The plot may be gossamer-thin but the characters are sturdily drawn and life on the farm engrossingly evoked. Natural light captured on 16mm film adds earthy texture to the drama, while images of bees crawling from Gelsomina’s mouth add a magical-realist element to the rites-of-passage rituals. A Death Row inmate petitions the court asking to be executed. As he goes on to tell his story, it gradually becomes clear that nothing is quite what it seems. THE FEAR OF 13 is a stylistically daring experiment in storytelling that is part confessional and part performance. Nick, the sole protagonist, tells a tale with all the twists and turns of classic crime drama with a final shocking twist casts everything in a new light. In competition at the London Film Festival 2015 this is one doc not to be missed! Director Nicholas Hytner and writer Alan Bennett, whose award-winning collaborations have included both the theatrical staging and the screen adaptations of The Madness of King George and The History Boys, return for this witty and insightful adaptation of Bennett’s play. It’s the late 1960s and Alan Bennett (Alex Jennings) has just moved to leafy Gloucester Crescent in Camden. No sooner has he arrived than he encounters Miss Shepherd (Maggie Smith), a destitute and irascible lady of an indeterminate age who resides in her van up the street. When she outstays her welcome with the neighbours, Bennett takes pity on her and allows her to park the van in his driveway, not realising that she will remain there until her death 15 years later. Bennett uses this rich, real-life story to expand on the themes of community spirit and loneliness, as well as the ways in which dependency builds between writer and subject. The brilliant Maggie Smith reprises the role of Miss Shepherd, having first performed it in Hytner and Bennett’s original 1999 stage production and subsequently for radio in 2009. Her depth of experience with the role is tangible, portraying Miss Shepherd with a frailty, madness and steely reserve that is both amusing and quietly devastating. Horse Money is the stunning new film from award-winning director Pedro Costa. Portuguese auteur Costa returns with the eagerly awaited follow-up to his landmark Fontainhas trilogy which poetically captured the lives of those residing in the eponymous Lisbon slum. In Horse Money, Ventura — the sad-eyed Cape Verdean lead of Colossal Youth — is lost in startlingly abstracted and stunningly rendered indeterminacy as revolution takes place in the streets. A product of the failed promises of Portugal’s Carnation Revolution in the 1970s, Ventura is increasingly held captive by his madness and the “nervous disease”, the results of a lifetime’s worth of back-breaking manual labour and extreme poverty. Invoking the photography of Jacob Riis (1849 – 1914), the famous American photographer, journalist, and advocate for poverty reform, Costa’s new film is a powerful indictment of social and racial injustice. 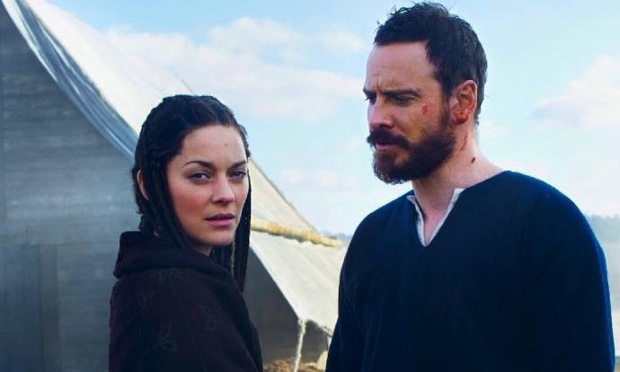 Starring Michael Fassbender (X-Men: Days of Future Past) in the leading role, alongside Marion Cotillard (Two Days, One Night) as the ambitious Lady Macbeth, Macbeth is a thrilling and dramatic retelling of a truly classic tale. When Scottish general Macbeth encounters a trio of witches, they tell him that he is destined to be King. Filled with ideas of grandeur and power, Macbeth seeks the advice of his wife, the Lady Macbeth, and together they concoct their wicked plot. With King Duncan slain, Macbeth takes the throne of Scotland, but the paranoia of success soon corrupts his mind. He believes the ghosts of his wrongdoings are following him everywhere, and a madness soon takes over. As Macbeth descends into tyranny and his wife into torment, the future of Scotland is threatened. Superstition and anxieties are rife, and Macbeth soon discovers that he can trust nothing and no one. Shakespeare’s incredible tragedy is just as popular now as it was 400 years ago, and has been brought to the silver screen by director Justin Kurzel. Filmed mostly on location in Scotland, this is a rich and lavish production of the play that has inspired actors and actresses for generations. Movie Magic card holders get £1 off all ticket prices.